"I am very picky when it comes to my hair and was nervous I wouldn't find someone who could live up to my expectations. Jessica is incredibly talented and her work far exceeds anything I have ever experienced. I booked Jessica for my wedding even before a trial after following her work on FB/IG. Before we met for the trial I was planning the day of schedule and was really stressing. I had 12 girls getting hair done in a limited amount of time. She offered to meet me at my hotel at a crazy hour to begin and also travel to the catering hall a few hours later to continue. She was so accommodating and was willing to inconvenience herself to take the stress away from me. The trial with Jessica was extremely thorough and she showed me multiple looks, reworking the style over and over until I found the perfect hairstyle. I had so many ideas for my hair and Jessica was able to combine all of them in a way that I never imagined. On my wedding day my hair was absolute perfection ... a true work of art! It was a complex half up-do that incorporated a headpiece and extensions. I got so many compliments and my hair remained flawless the entire night - even after dancing and sweating. Jessica and her team made everyone in the bridal party look stunning. I would use Jessica again and again and HIGHLY recommend her to any bride! -Jessica"
"I booked with jess and her company Bridal Rush immediately after my trial. I was completely sold!!! Her work is incredible, and herself personally and team are professional, wonderful people. Jess actually gave up time on her wedding anniversary to do the hair of myself and my bridal party for my wedding. I could not be more honored to share a wedding anniversary with such a beautiful soul. It took her just a few minutes to know exactly what I wanted and make it happen. I also had a bridal party of 8 girls, myself, and my mom and she got us all done and looking fabulous in no time!! She even added clip in extensions to one of my bridesmaids in that time too!! I got endless compliments on my hair and it just completed my bridal look perfectly. 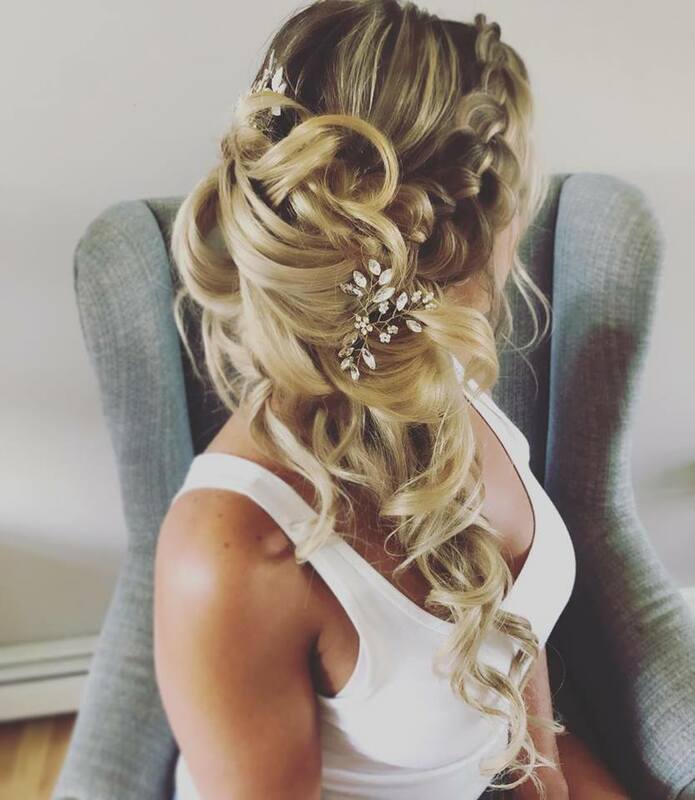 I am so happy with my choice of Bridal Rush for my wedding hair and should you choose to also you will not be disappointed!" "Jessica and her team did a stunning job on my wedding day! They were able to perfectly replicable the hairstyles in the photos that my bridesmaids showed them, and my hair turned out even more beautifully than it did at the trial (which I didn't think was possible!). My hair, my mom's hair, and my bridesmaids' hair looked flawless. My hair stayed the entire day without any touch ups (I have fine, pin straight hair, so I was afraid my updo wouldn't last all day), and I received so many compliments from my wedding guests! "I used Bridal Rush for my girls and I on my wedding day, November 17, 2017. I cannot say enough incredible things about Bridal Rush! From the second her and her stylists entered my house they were an absolute pleasure and always had smiles on their faces. I have gotten my hair done professionally only a handful of times in my life and never truly loved it, so I was nervous. I always felt like I liked it better when I did my own hair for certain occasions and events. However, this totally changed when Jessica, the owner of Bridal Rush, styled my hair on my wedding day. It was absolutely beautiful. Everything I could have imagined and more! She allowed me to use my extensions and she blended them so seamlessly into my hair that no one could tell I was wearing them. She also gave me the opportunity to look at my hair throughout the time she was doing it to make sure I liked it and make any changes as she went. She truly cared about me and what I wanted. Generally, my hair falls pretty quickly and it is hard to keep a curl in my hair for a couple of hours let alone for 12. My hair not only stayed, but looked almost as perfect as it did in the morning, even after I danced the night away. Jessica made me feel very special and so beautiful! Her team also made my girls look and feel amazing as well. They were an extremely talented, artistic, friendly, and professional group of women. Their passion for what they do shines through their beautiful work and how they treat their clients. I highly recommend Bridal Rush to all brides!" "Where do i begin.... Bridal Rush and Jessica were absolutely one of the best vendors I had on my wedding day. Not only did she take my idea of how i wanted my hair and literally made it better than i ever could have imagined, but she listened to me. You will see a lot of vendors don't take the time to really listen to you and they just yes you to death. Jessica isn't like that. She is patient, kind and extremely professional. She is also very calming and that really helps when getting ready for the biggest day of your life. My hair was GORGEOUS!! It was everything i ever thought it would be and worked perfectly with my entire bridal look. Her team is also amazing. They came to do touch ups at my venue and fixed all of my bridesmaids hair, moms hair and of course my own. She even stayed until after our ceremony to give me one last touch up. She was literally a dream come true and made sure every single piece of hair was in place before i was whisked off to my reception. I can't praise Bridal Rush enough. They were absolutely amazing and I will recommend them to every single bride to be I encounter. One of the best decisions I made! Girls if you are unsure, don't hesitate to book a trial with Jessica, she will blow you away and I promise you will want to book her on the spot!! Congrats to you all :) - Alyssa"
"I used Jessica and her team for my hair for everything from my engagement photos to my bridal shower and then my wedding. Everything was amazing! Jessica did an amazing job for my engagement photos. She understood my vision and made it a reality. After that, she spent so much time with me for my hair trial. She is calm and kind and again, knew exactly what I wanted and created the hairstyle I was hoping for. She also spent the same time with my mom, making her feel so special! For my bridal shower, I overslept and missed my hair appointment. I was freaking out! Sandra calmly called me and somehow made other arrangements to get my hair done beautifully in a short amount of time! Thank you! 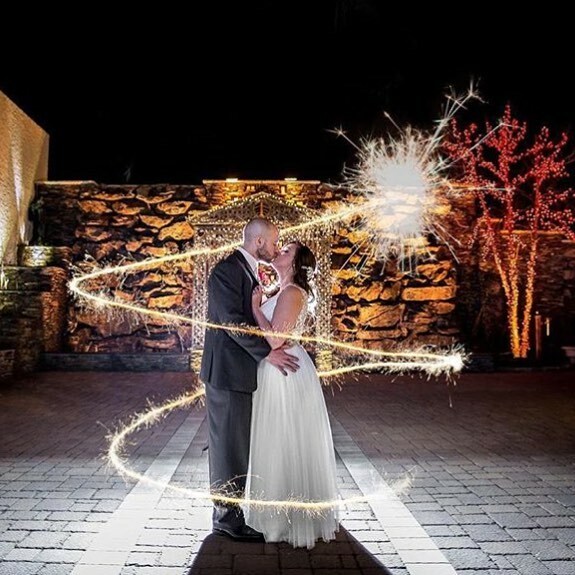 "I chose Jessica and her team for my wedding on 4/6/18. Jessica perfected my hairstyle just the way I wanted it to look.. I also opted for a second hairstyle change where she pulled my hair into a low bun for my reception. My mom and I saw Jessica for 2 trials before my wedding ( I couldn't make up my mind for my hairstyle). She was patient, sweet, and reliable, and understanding. I would definitely recommend Jessica and her team ! Thank you Jessica"